With the present situation of energy crisis, fossil fuels (coal, oil & natural gas) potential is unable to meet the current energy demands and as we know that energy is the life line of growth in any economy that’s why energy saving is very important. Our country’s per capita energy consumption is 325.1 million tones oil equivalent which is very low as compared to the industrialized countries but the energy intensity is very high. We can easily narrow the gap between demand & supply and decrease the energy intensity in each sector by simple approach towards energy conservation and efficiency through energy efficient technology and housekeeping habits. Use of energy efficient technologies with strict following of norms & std. Use of renewable like solar, wind etc. 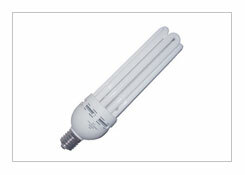 Use of efficient technologies like CFLs etc.